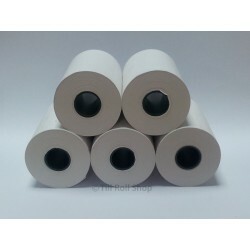 Thermal Paper Rolls are made from a heat sensitive paper that is commonly used in many makes and models of Cash Registers, Chip and Pin Machines, Credit Card Machines and Printers. The image is created by heat being applied to the paper which then reacts by turning black and the image being produced. Rolls by Machine Name There are 42 products. This listing is for a box of 80mm x 80mm thermal till rolls. The box contains 20 rolls. 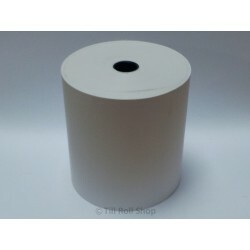 This thermal rolls is for use in the Axiohm A715 A721 A756 A758 A793 A794 range of receipt printers. This listing is for a box of 57mm x 40mm thermal credit card terminal / PDQ rolls. The box contains 20 rolls. These rolls are for use in the Barclays Ingenico 7700 5100 Ingenico Aqua range of credit card machines. This listing is for a box of 57mm x 57mm thermal cash register and till rolls. The box contains 20 rolls. These thermal rolls are for use in the Casio TE-8500 SE-S2000 TE-2200 range of cash registers. This listing is for a box of 57mm x 57mm thermal cash register and till rolls. The box contains 20 rolls. These thermal rolls are for use in the Casio SE-S10 SES10 SE S10 MD range of cash registers. This listing is for a box of 57mm x 57mm thermal cash register and till rolls. The box contains 20 rolls. These thermal rolls are for use in the Casio SE-C2000 SEC2000 SE C2000 MD range of cash registers. This listing is for a box of 57mm x 57mm thermal cash register and till rolls. The box contains 20 rolls. These thermal rolls are for use in the Casio SE-S10 SE-S300 SE-C2000 SE-C300 MD range of cash registers. This listing is for a box of 57mm x 57mm thermal cash register and till rolls. The box contains 20 rolls. These thermal rolls are for use in the Casio SE-S2000 SES2000 SE S2000 MD range of cash registers. This listing is for a box of 57mm x 57mm a-grade paper till rolls. The box contains 40 rolls. 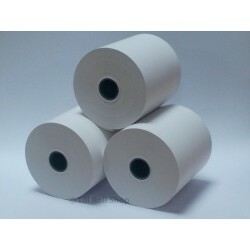 These a-grade paper rolls are for use in the Casio 130CR range of cash registers. This listing is for a box of 80mm x 80mm thermal till rolls. The box contains 20 rolls. 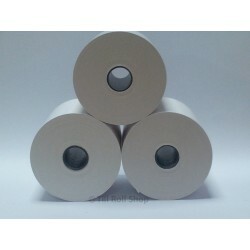 This thermal rolls is for use in the Citizen CBM-1000 CBM1000 IDP3221 IDP3310 range of receipt printers. This listing is for a box of 80mm x 80mm thermal till rolls. The box contains 20 rolls. This thermal rolls is for use in the Epson TM-T88 TM-T88I TM-T88II M129H M129B range of receipt printers. This listing is for a box of 57mm x 57mm thermal cash register and till rolls. The box contains 20 rolls. These thermal rolls are for use in the Geller SX-580 SX-690 SX-595 and Elite CR-202 range of cash registers.